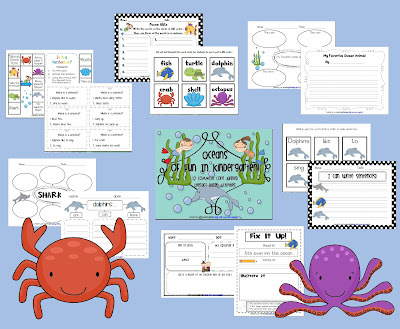 Teaching With Love and Laughter: Oceans of Fun for Kindergarten! Next month, I'll be diving into my ocean unit and I've been working very hard on finishing up my common core aligned packet o'fun. Since I teach kindergarten, first grade, and second grade, I have three times the work to accomplish! I can now breathe a sigh of relief because I finally finished the kindergarten packet. It's jam packed with 12 literacy activities that I'm sure my students will enjoy. The first and second grade packets should be done in a day or two. In mid-May, I'll be observed by some VIPs from my charter school company, who will be deciding whether or not I am worthy of winning National Teacher of the Year. The lessons I teach on this day will come right from the first grade packet. Hopefully, they will notice that I created the activities myself and that will help me score some points! I wonder how many times I can work that into the conversation? LOL! If you are interested in checking out my kindergarten ocean unit, please click on the preview below. If you purchase it, I would love to hear what you think. Thank you so much! Sounds like fun! I'll be right over! Your packet looks great Lori! I checked out the preview and have it in my cart. I will be doing an ocean unit in May. We focus a bit more on rock pool creatures like hermit crabs and anemones. We go on a fieldtrip to the coast and take the kids down to the tide pools. We also look for whales, but this year we will be going too late to see any. Thanks again and I will be sure to rate your packet after I download it. 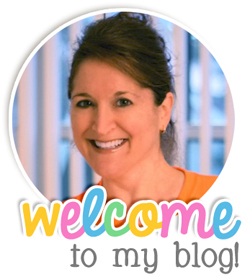 I love all of your products! That sounds like a fun trip! Thanks for commenting about my products. I really appreciate the good press! Tag, you're it!!! Head over to find out why!